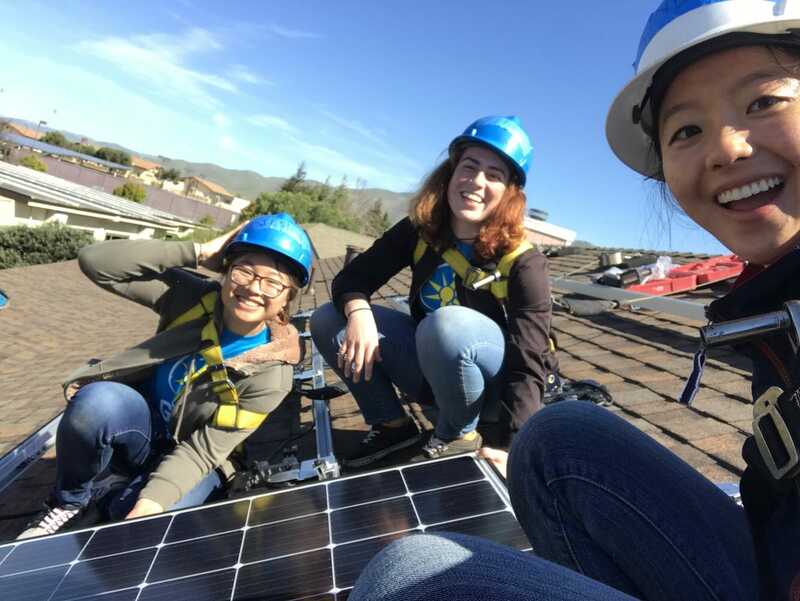 This spring break, 2019, two groups of 12 UC Berkeley students will be traveling to areas around Oakland and Salinas to install solar panels for low-income households. 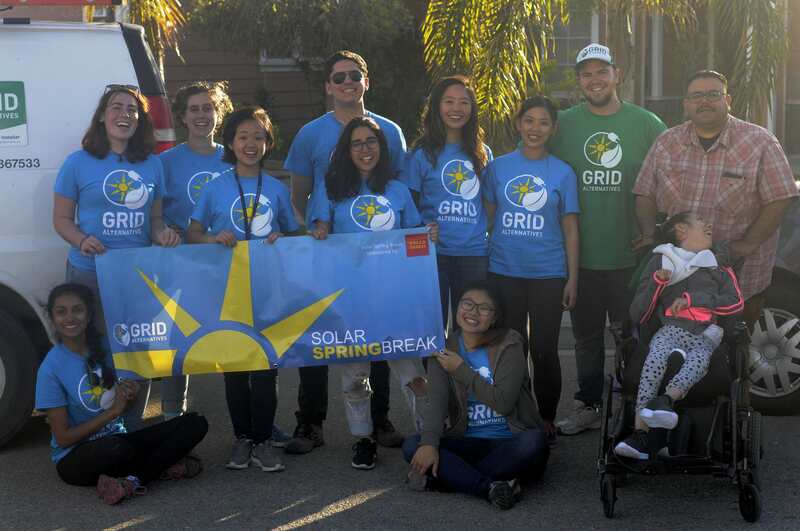 This is the 6th year that UC Berkeley students are participating in this “Solar Spring Break” project, hosted by the nonprofit organization GRID Alternatives. Solar Spring Break is supported on campus by the Student Environmental Resource Center (SERC) and is comprised of a week-long trip over Spring Break to install panels and a DeCal (student-taught class) on the topics of solar technology and environmental justice. Most residential areas today are powered by energy from fossil fuels, which are nonrenewable, polluting, and contribute to climate change. In order to decarbonize our energy system, it is essential to increase the presence of renewables in the residential electricity mix. However, the upfront cost of rooftop solar systems is a major barrier that deters many homeowners from switching to solar. By installing solar panels on qualifying homes in underrepresented communities, our team seeks to provide needed financial savings for residents while lowering greenhouse gas emissions. We believe that renewable energy and utility savings should not be reserved just for those with the means to afford solar panel installations. People struggling to make ends meet are the ones who would benefit the most from stabilized and reduced electricity bills, and that is why we focus on this demographic. In addition to advocating for environmental justice in underrepresented communities, participants of Solar Spring Break will also acquire the technical skills need to install solar panels. This hands-on learning experience will actively enrich participants’ knowledge and understanding of solar energy and prepare many for a career in the field of renewable energy. Solar energy is a renewable and carbon neutral source of energy. Once set up, it involves minimal maintenance and running costs, while providing a reliable electricity output. However, the initial installation costs of an average sized home solar panel system (5 kW) can cost over $25000, mainly due to the prohibitively high costs of photovoltaic systems, as well as the labor and electronic components required. Thus, even with subsidized rates and incentives provided by utility companies, most low income communities still cannot afford these facilities. GRID Alternatives aims to overcome this cost barrier, and make solar power accessible to all regardless of socio-economic background. This will not only benefit the environment, but also improve the financial well-being and living standards of impoverished communities in the East Bay and Central Coast. This money will directly bring the environmental and economic benefits of solar power to low-income families in Oakland and Salinas. 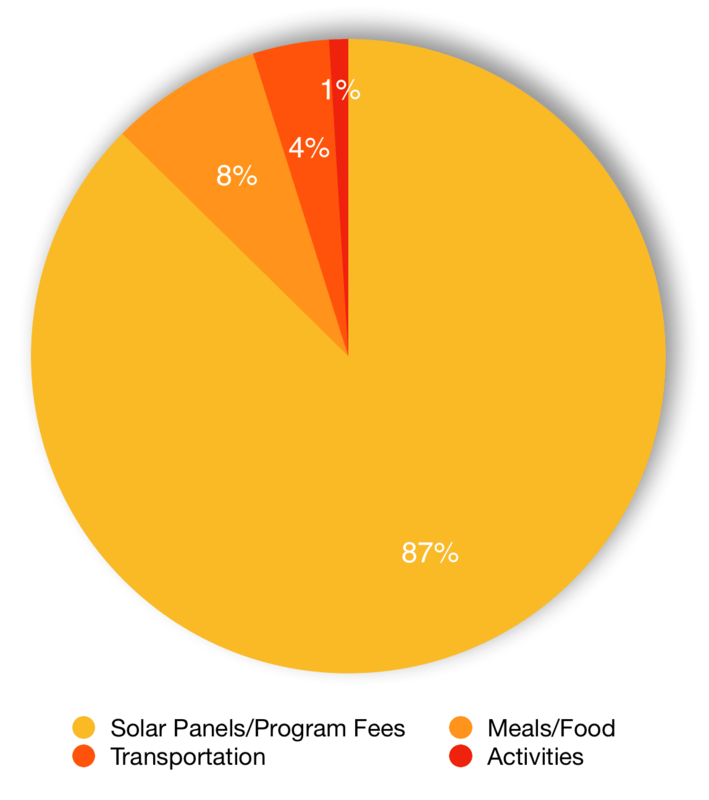 Please make a gift today to help us reach our goal so we can bring renewable, affordable energy to underserved communities and give students hands-on experience with solar technology! Thank you so much for taking the time to read about our project, and if you would like to know more about the program before making a gift, you can read about it on the GRID Alternatives website and on the SERC website. Note: We began fundraising on a separate site before this one, and the money we raised there (~$3,400) is reflected on this site in order to give donors an accurate view of the total progress of our fundraising efforts. For your support of Solar Spring Break, we will give you a shoutout on Facebook and/or Instagram! As a thanks for your support, receive a personalized thank you card from our solar installation team! In recognition of your support, we will list your name in the newsletter for the Student Environmental Resource Center. The newsletter reaches a wide audience of environmentally-minded students, faculty, and alumni! Receive access to all the photos of our solar installation trip in late March to see exactly what your funding is going towards! Receive a “thank you” video from our team while we’re in action on the roof installing panels! Come to one of our DeCal (student-taught) classes and see what we're learning about outside of the worksite! We cover a wide range of topics relating to solar power, from the technical side of solar technology and how panels actually work to the social side of environmental justice. This wide scope allows us to provide a holistic view of solar power and the solar industry for our students.